The Wooden-Apple Farmstead in Palermo, NY is hosting the first Wooden-Apple Music Festival on September 1 from 2 until 8 p.m.
Gina Holsopple, seen here at a music performance in Saratoga Springs, NY, will launch her newest album RED at the first Wooden-Apple Music Festival Sunday Sept 1, 2 to 8 pm in Palermo. For more information, visit www.CNYArtsCenter.com or call 591-0711. 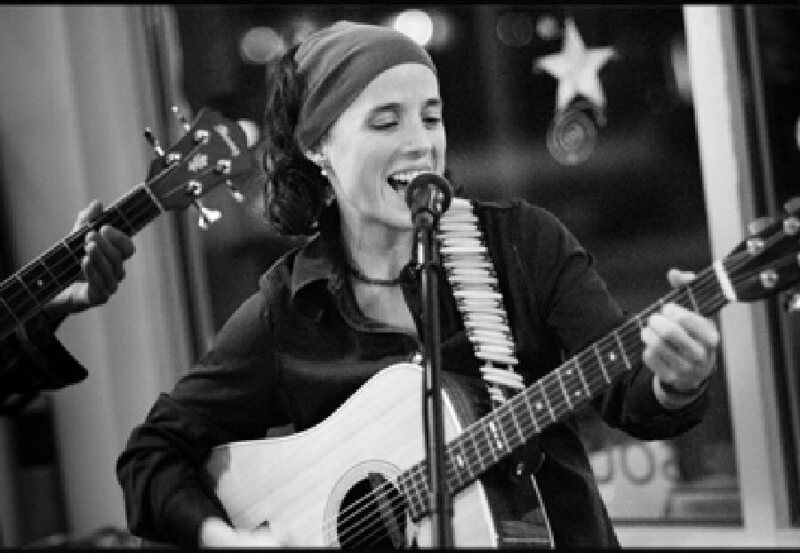 The day’s lineup includes Lois Dixon & the Olives, Gina Holsopple, The Polashenskis and more! The festival will conclude with an open mic and storytelling, so feel free to bring your instrument and add your name to the list. Gina Holsopple, a nationally award-winning singer-songwriter, will be officially releasing her brand-new album, “RED” at this event. Lois Dixon & the Olives, another local favorite, will also be gracing the stage. The fun does not end there! Bring your own food and drink for this family-friendly event with a $7 suggested donation for adults. There will be a grill going all afternoon for anyone who wants to grill. Bring a lawn chair, bring a blanket, bring a friend, but most importantly don’t miss this day of music and family fun! Contact the Wooden-Apple Farmstead at 315-591-0711 or [email protected] for further information, to RSVP and for directions. More information can also be found at www.CNYArtsCenter.com. Visit www.ginaholsopple.com to learn more about “RED” and the music of Gina Holsopple.